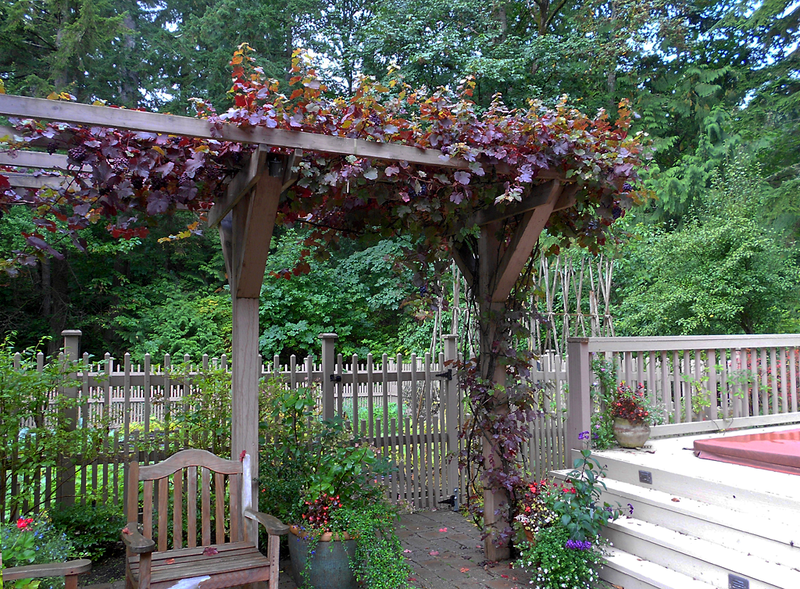 Tina is co-owner and the lead designer at Nyce gardens in Sammamish, WA. 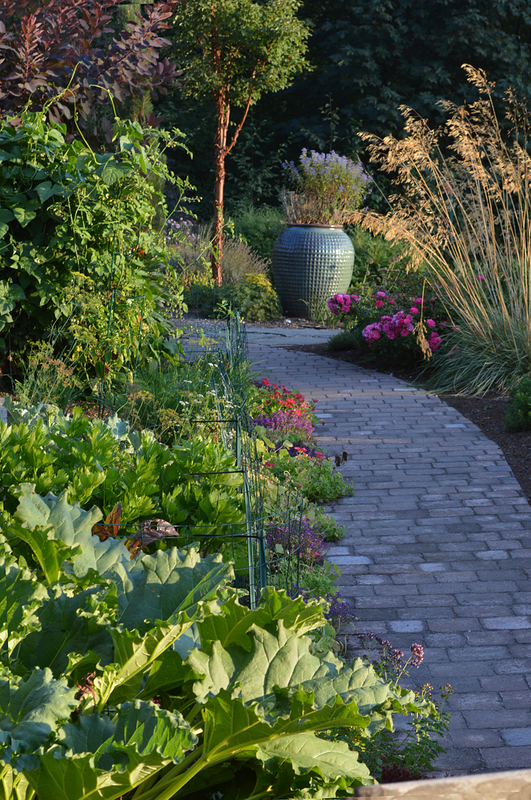 She studied Landscape Design at Temple University and has been a practicing designer since 1980 having worked in NC, PA, NY and VT before moving to Washington. 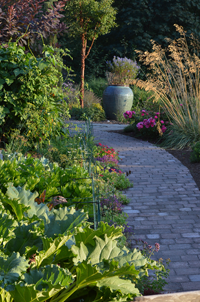 Her design work includes complete residential landscapes, outdoor rooms, perennial gardens, and estate landscapes, with a particular emphasis on outdoor living. Tina has had several of her works published but what brings her the most joy is succeeding in creating spaces that meet the owner’s needs and desires rather than her own. She is a founding member of APLD, established in 1989. 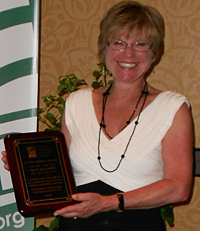 Tina has served the association in many capacities over her 24 year membership, receiving the Harry Schuster service award in 2006. 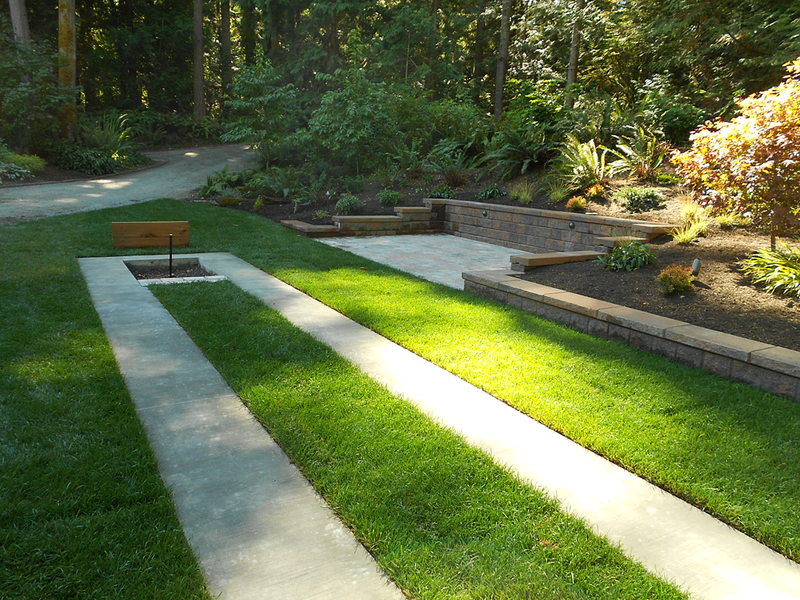 In 2011 she was designated a Fellow for demonstrating a mastery of design exemplified by the creation of significant projects which have advanced the art, stewardship and social responsibility of landscape design; and for demonstrating a significant commitment of time and energy to the advancement of APLD. Tina also is the founder of the Washington Chapter of APLD. APLDWA was the first APLD chapter to be established. 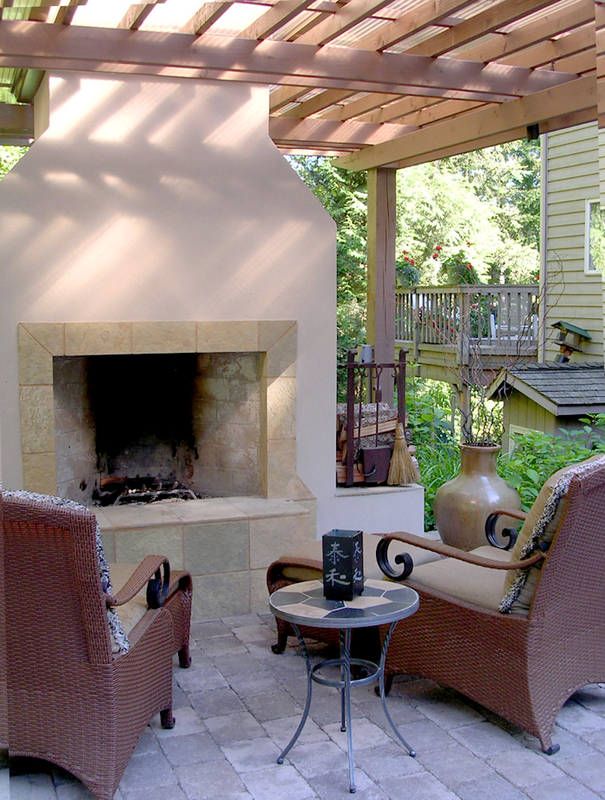 Tina enjoys enhancing people’s lives by making their outdoor spaces just as beautiful and comfortable as their indoor environments. 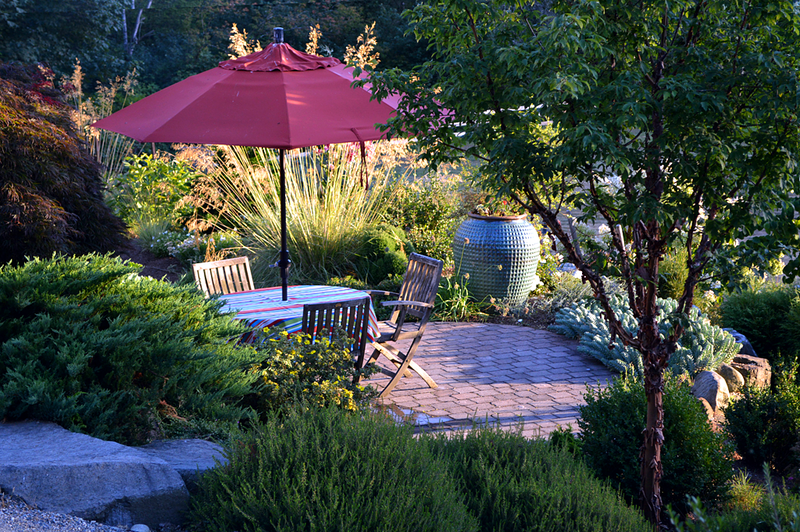 The challenge is to find out what makes each family tick and translate it into a yard that complements their lifestyle. 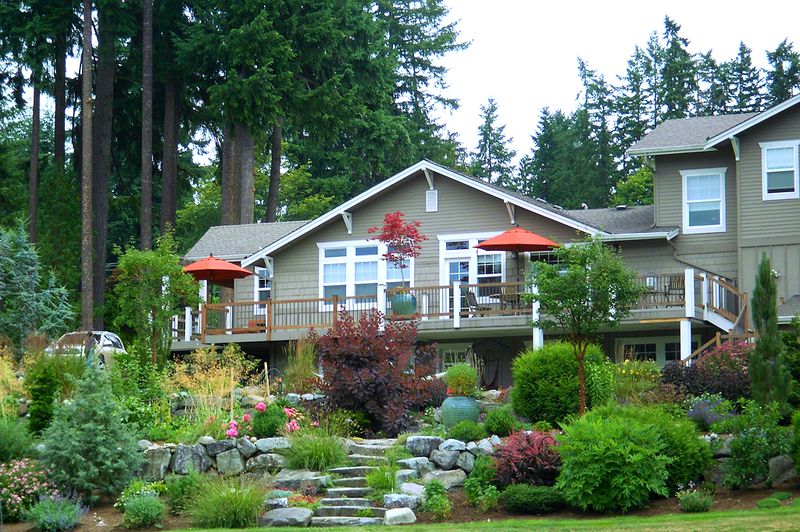 An active family moved to a property with a house perched on the hill that has sweeping views and a creek bordering it. 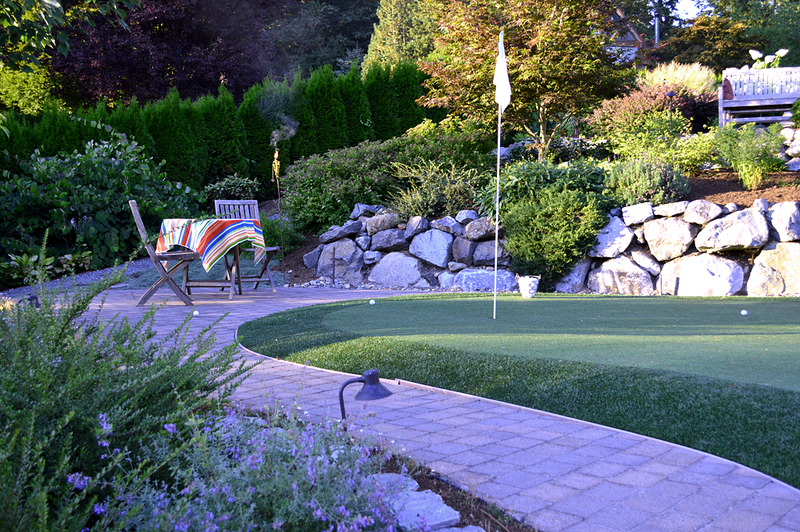 Avid golfers and gardeners they desired both in their yard. The on site septic gave parameters as to how the terracing would have to be laid out but a wonderful rockery filled with perennial beds and a stone stair case give way to field below for play. Entertainment areas are tucked throughout the gardens. With this full sun location a variety of plants from Stipa, Sedums, Rosemary, Nepeta, Lonicera, Acer griseum, Pinus and others give color all year long. Edibles adorn the walking paths for easy access and delight the senses. 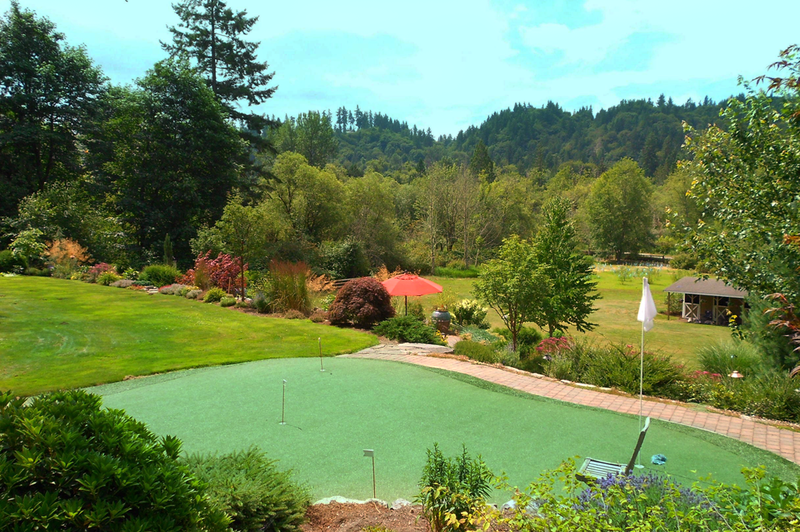 The family that lives on this large wooded property desired a warm sitting area, outdoor cooking, lots of vegetable gardening and are avid horse shoe players. 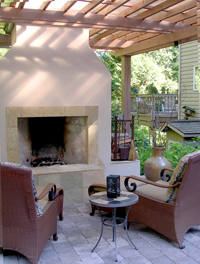 A terrace was added off the kitchen with covered cooking space and a fireplace (with catalytic converter) which attaches to the vegetable garden and pitching court. Life is central to this space. 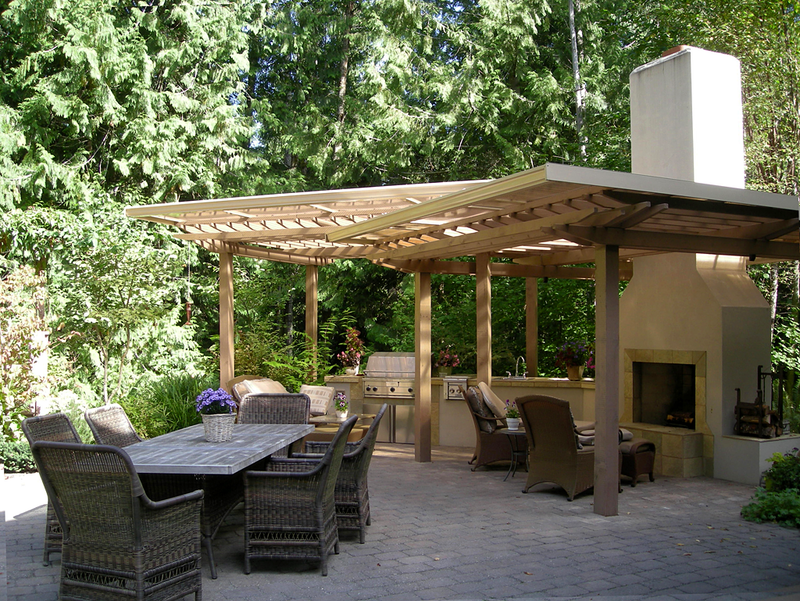 Remote sitting areas and a deck give other vantage points of the beautiful woodland. 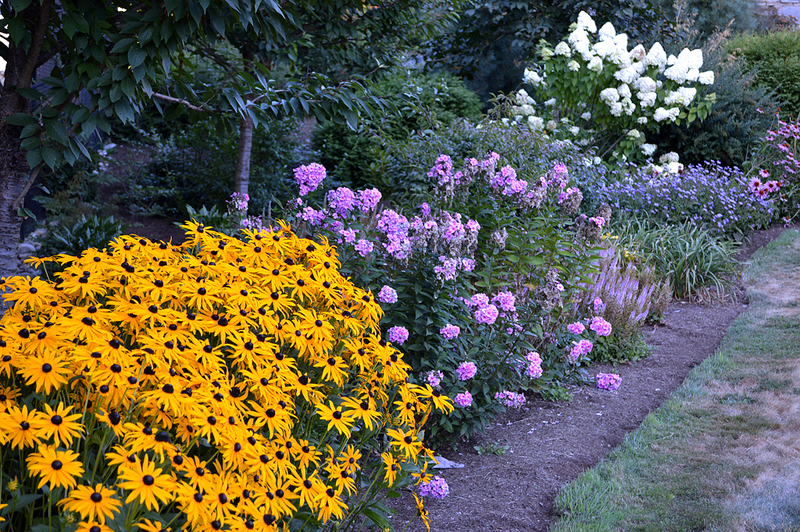 Plantings surround the area that provides color in all seasons. Amelchanier, Oxydendron, Taxus, Vaccinium, Viburnum and Exbury Azaleas blend the ornamental landscape into the natural setting. Blueberries and grapes give entry to the edible garden and feed the wild life kept out by a fence. 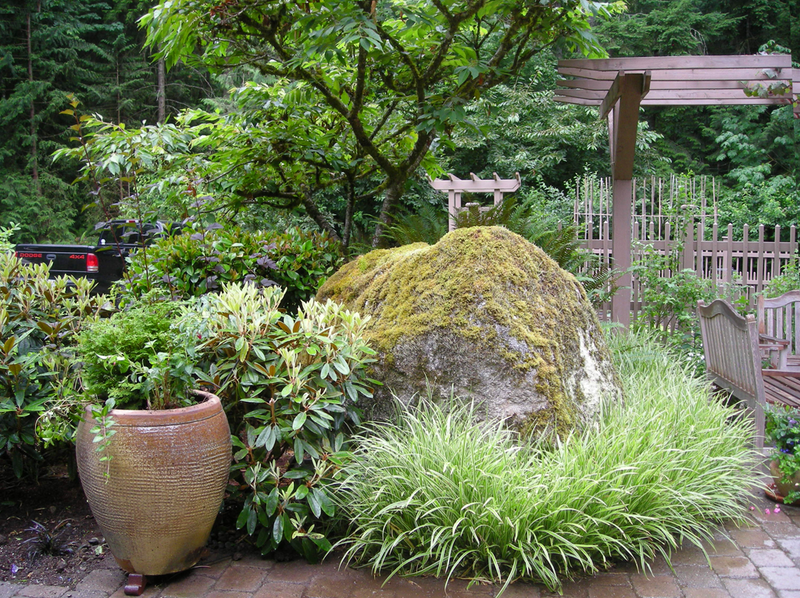 Learn more about Tina Nyce's design firm Nyce Gardens, that serves the Seattle area landscaping needs. 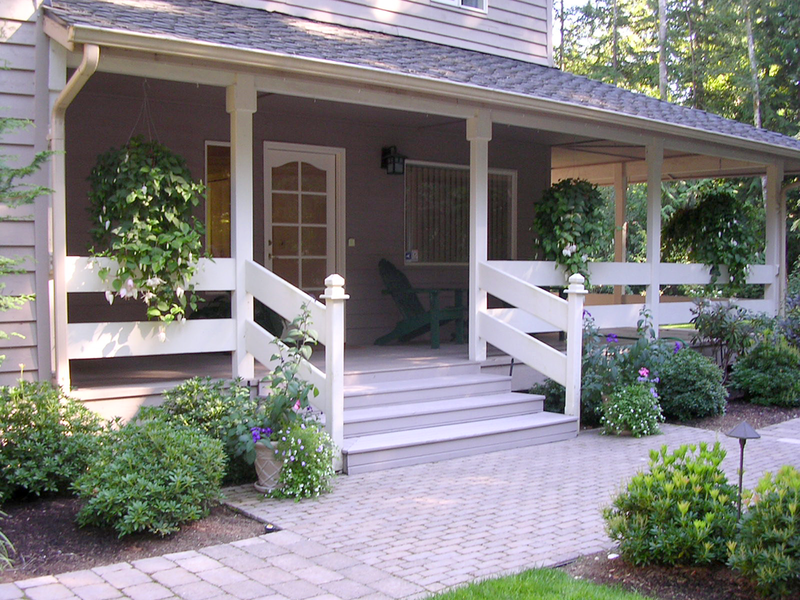 Nyce gardens provides design, installation and care of outdoor spaces. To learn more about Tina and the company visit www.nycegardens.com. Follow Nyce Gardens on facebook. Tina can be reached at tina@nycegardens.com or (425)260-4646.